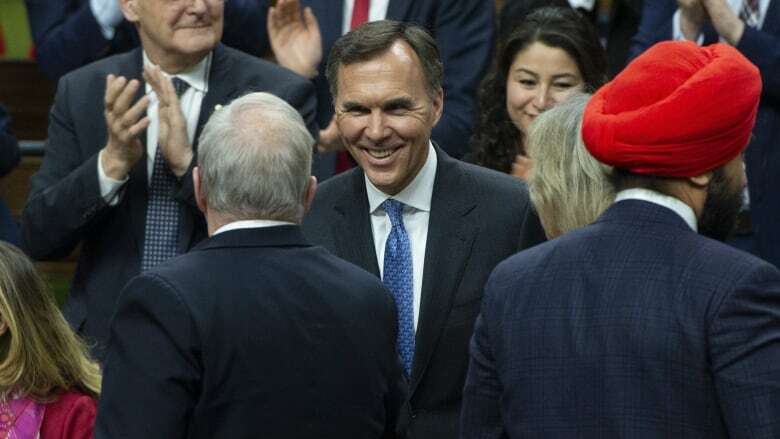 Bill Morneau's fourth budget is in the books, and that's a good thing since he didn't get a chance to deliver his speech in the Commons on Tuesday because of the din made by Conservative MPs determined to keep the public's attention on the SNC-Lavalin affair. The Conservatives jeered. They pounded their desks and they chanted "let her speak" in reference to their demand that former Attorney General Jody Wilson-Raybould re-appear before the justice committee to discuss why she resigned. As usual, Morneau didn't call it spending. He never has. "The most important promise we made to Canadians was to invest in their future," Morneau replied when asked why the government was choosing to run deficits into the foreseeable future. "I hope Canadians will look at what we've done since the beginning, to make investments in me and my family," he said to another question about what Canadians should take from this budget. "I think Canadians will look at us and know we delivered on our promise of more success, for more middle-class Canadians than ever before." "If you are a young person still struggling to find meaningful work, a low unemployment rate probably doesn't mean that much," he said in the speech that nobody heard. "Good GDP numbers don't mean a lot when the job you need to feed your family is on the line." "How many millenials are able to use, to have enough in their RRSP to buy a home? It shows how disconnected Mr. Trudeau is with respect to what Canadians are going through." "Canadians will not be distracted by Mr. Trudeau's cover-up deficits. They demand answers on the SNC-Lavalin corruption scandal and Conservatives will do everything we can to get them."